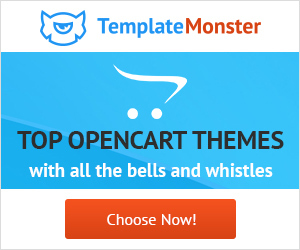 Best Collections of Free OpenCart Themes. 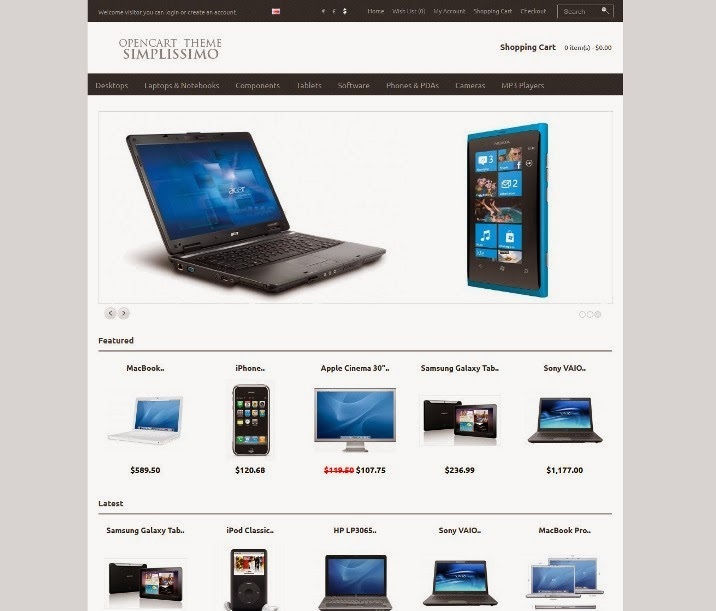 Simplissimo is a Free OpenCart Theme. 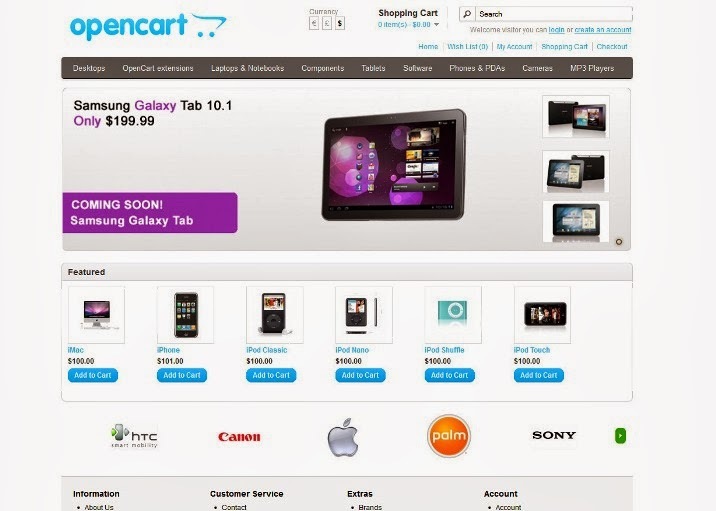 This theme is compatible with OpenCart 1.5.4.1; 1.5.3.1; 1.5.2.1. Features are Compatible with version of OpenCart 1.5.3.1; 1.5.2.1, Compatible Browsers: (IE8, IE9, Firefox 4+, Safari 3+, Opera, Chrome), 4 custom modules, Store description, social icons and contacts on footer and more. 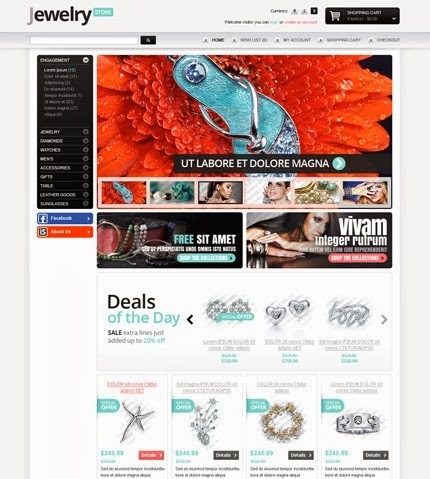 Magada is a Free Fashion Opencart Theme. 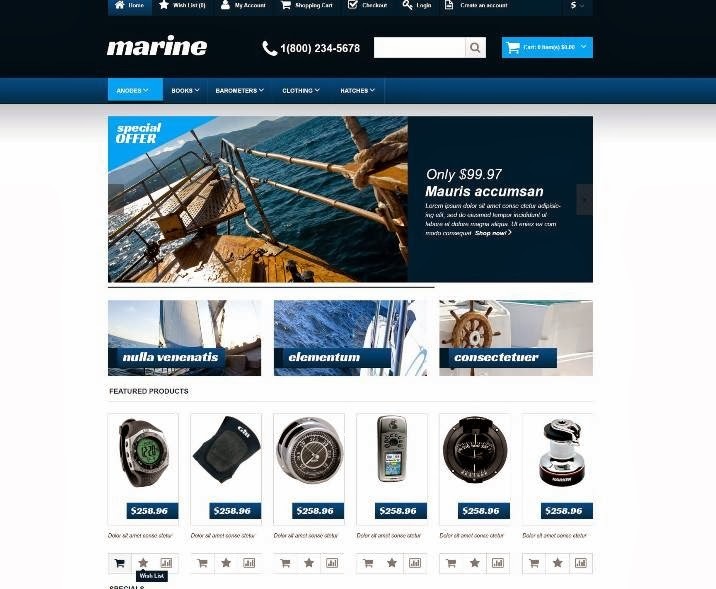 Features are Category Drop-Down, User-friendly Keyboards, Built upon the original OpenCart theme, Uses vQmod, Product Selector on Product Page and more. 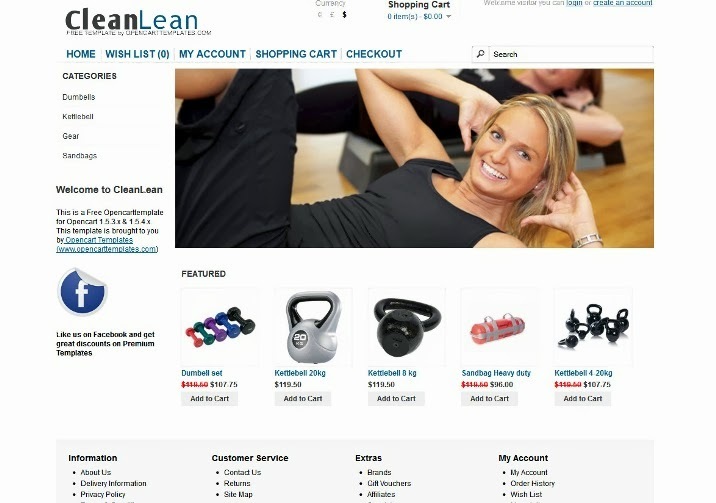 OpenCart templates are ready-made web designs which are created specifically for online stores. These templates are easy to customize and simple to install which make them powerful and outstanding among users. Features are cross-browser compatibility, search engine friendly, dropdown menu with multi levels, awesome installation documentation, sidebox banners and more. 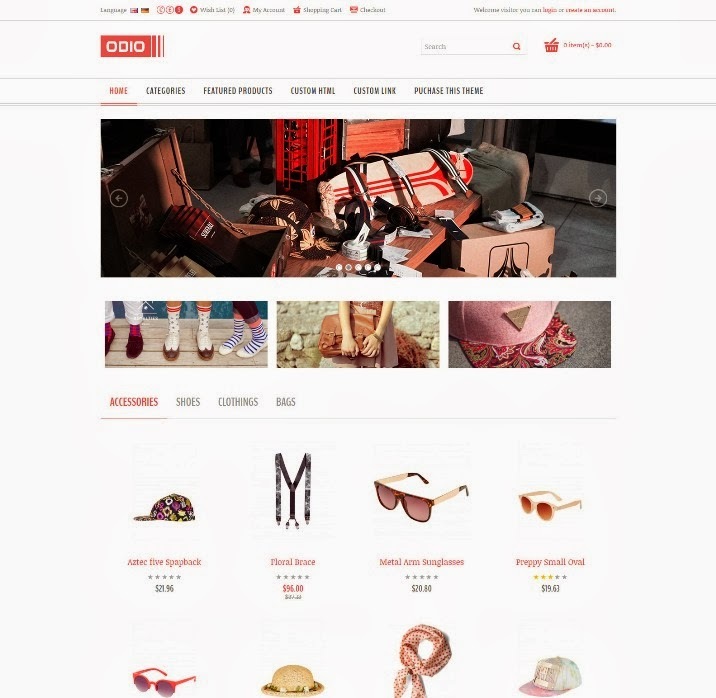 Odio is a Free OpenCart Theme for Fashion Stores. Odio is featured with light colors, minimal design. We also equip Odio with lots of functions from our 7 OpenCart modules, including CSS3 SlideShow, Product tabs and slides, Product showcase accordion, Newsletter management, social icons and admin editor, Search Engine optimized, Google Web Fonts utilized and more. Bootstrap OpenCart Template is a responsive online store design based on OpenCart eCommerce platform and enhanced with Bootstrap functionality. Bootstrap is a great framework to work with, if you want to make the website comfortable both for you and your customers. ClothingStore is a Free OpenCart 1.4.9.x template. 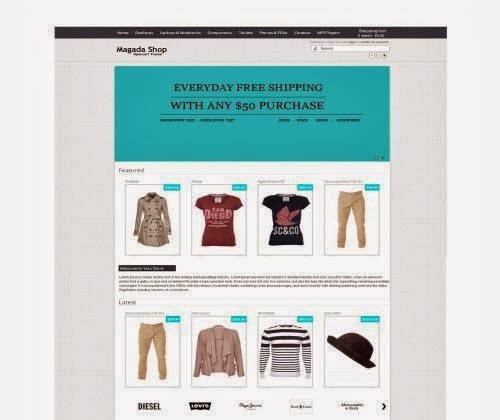 Egestas is a Free OpenCart Fashion Template. Egestas is an elegant OpenCart template for fashion store featured with elegant design and 7 functional modules (Pro version only). Features are Search Engine optimized, Lightweight optimized images, Google Web Fonts utilized, Well-commented codes, Compatible with cross browsers and more. Theia is a Free OpenCart Theme. 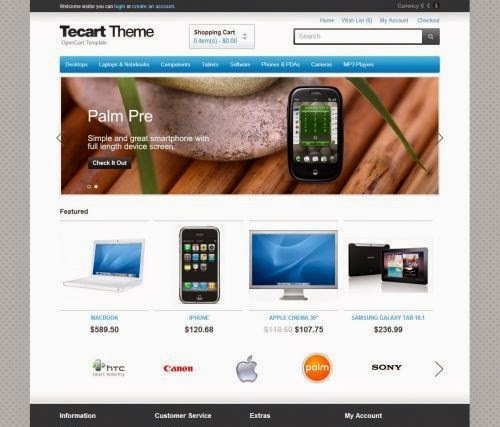 Theia theme for OpenCart v1.5.2, v1.5.2.1, v1.5.3, v1.5.3.1, v1.5.4, v1.5.4.1. Blanka Shop is a Responsive OpenCart Theme with smooth effects.This theme is suitable for all kind of online stores.It is very easy to install and customize,then more new feature are added and SEO supported friendly and Blanka Shop 1.5x version added. Tecart is awesome OpenCart template. It’s specially designed for electronics, computers, mobile stores. Intuitive navigation. Great colors combination of blue, green and gray. It’s compatible with features of default template. All sub pages are carefully customized. 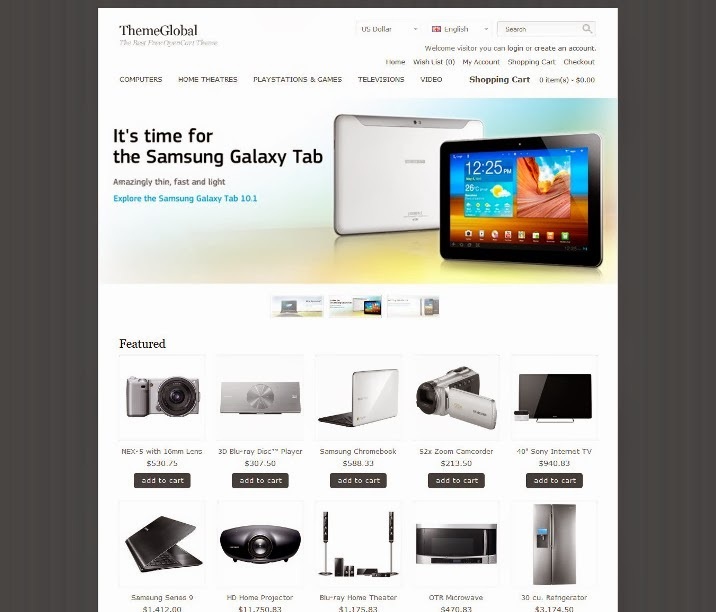 THEMEGLOBAL – The best Free OpenCart! 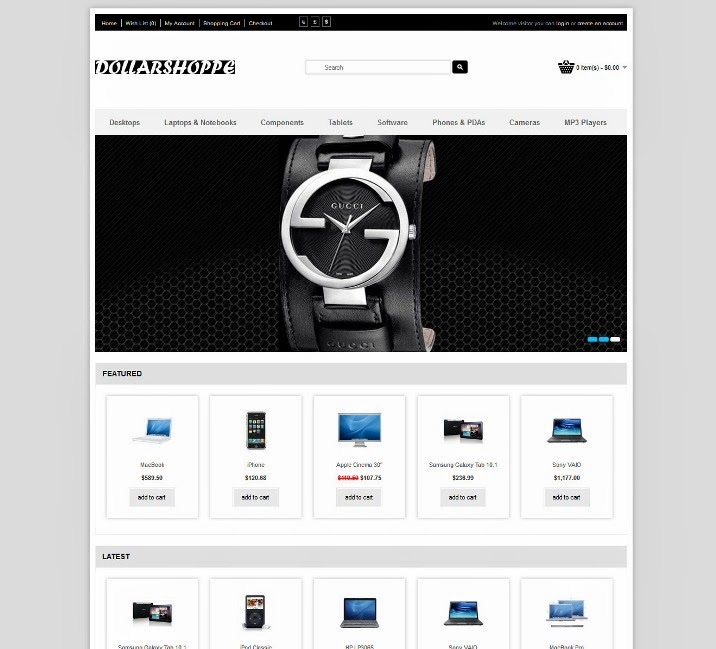 Template 1.5.x shopping template. The clean and modern design allows you to use the theme for every kind of online shop: kids boutiques, fashion stores, accessories, gifts, electronics, furniture, health and cosmetics store or pet shop. OpenCart Mobile Framework is a true mobile-enabled version of your store, up to 2700%+ faster than your desktop theme. It comes with a specifically designed user-friendly mobile theme. 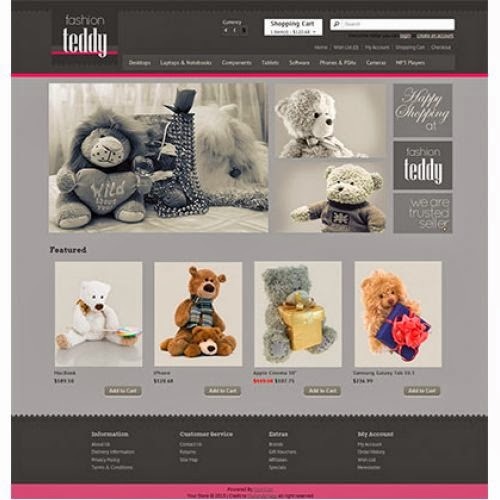 Fashion Teddy Reload Free Opencart Template. 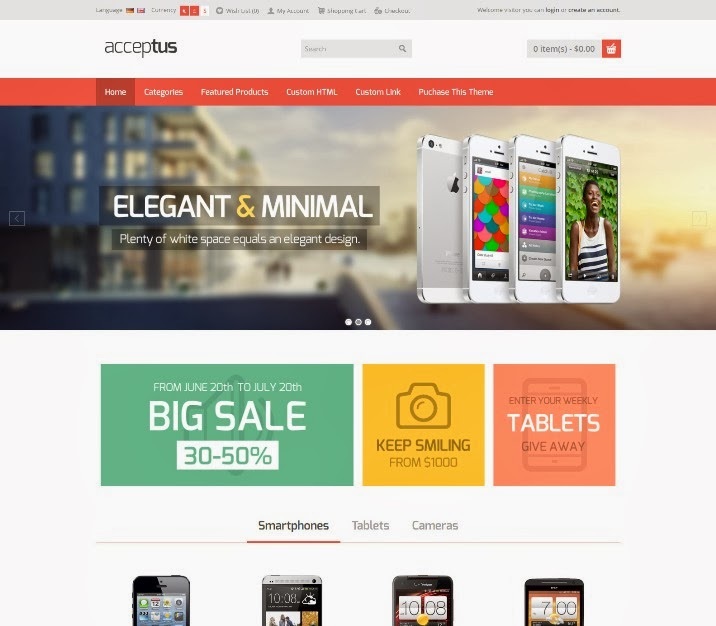 Acceptus is a Free OpenCart Theme for Mobile Store.